Christmas Hits: oranges, an invisible note and a book. Hello! Happy 2016 one and all! I trust you survived the Christmas festivities intact. Can you guess what oranges, an invisible note and a book have in common? No -? Well, they were my best Christmas gifts of 2015. I’ll start with the oranges. They arrived a few days into the holidays. Two huge boxes filled to the brim with gorgeous Valencia oranges. I swear, you could smell the sunshine when we opened them! 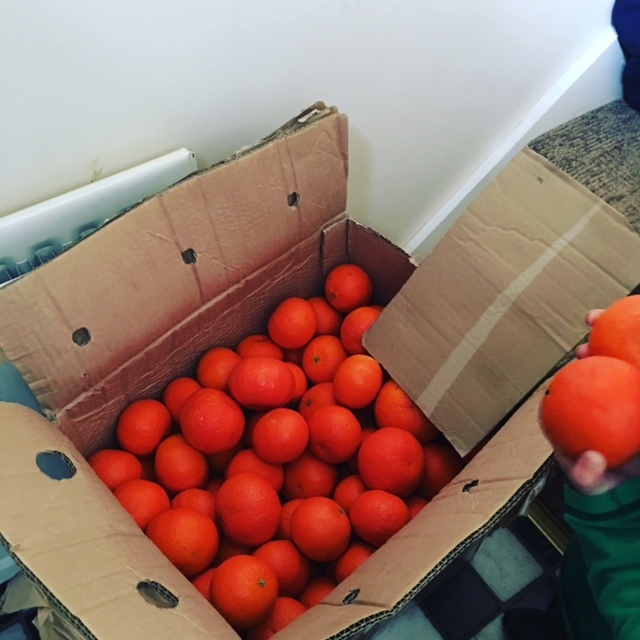 A gift from the family of our spanish au pair; orange farmers, of course. I promise you they are the tastiest, juiciest, oranges ever. I credit them for keeping us bug-free over the Christmas holidays. I’ve even started freezing the orange peel to put in my G&T’s!! Fact. My second favourite is the wonderful ‘The Long Gaze Back’ edited by Sinead Gleeson. This has been on my ‘must buy’ list for ages so my husband got mega brownie points for this one. (I might have hinted once or twice) Each story is superb. Not only does it feature some of my favourites female Irish writers, but it has also introduced me to some new ones too. I have had to read each story numerous times – there is so much to unpack. Each one is a master-class in storytelling; a guaranteed way to give yourself a sharp, short slice of brilliance. I can’t recommend this book highly enough. It’s pages are going get well and truly dog-eared and it’ll have pride of place on my shelf for years to come. I love you so much and I hope you like me too. What can I say? BEST. PRESENT. EVER. 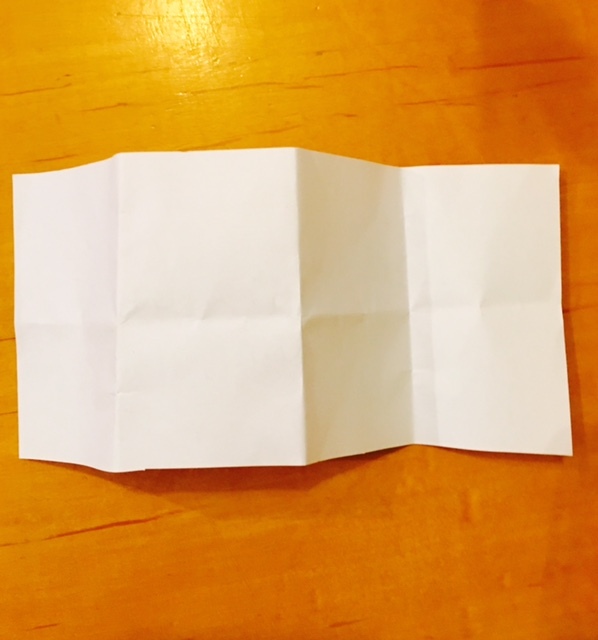 It’s in my jewellery box, but nothing in there comes close to the value of that piece of paper. Only problem is I’m going to have to buy my own UV light so that I can read it! As the boy himself would say LOL! I hope your 2016 is going with a swing so far. Would love to know what your best gifts were and why…. ← Happy No-Resolution New Year!